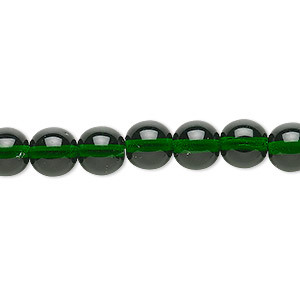 Bead, Czech glass druk, metallic green, 8mm round. Sold per 15-1/2" to 16" strand, approximately 50 beads. Item Number: H20-4658GL Have a question about this item? 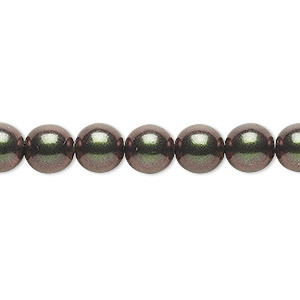 Quality Czech pressed glass beads have a metallic finish that seems to radiate from within. The rich, green beads are illuminated by the halo of color that reflects purple, brown and green tones. Size and shape may vary slightly and color may vary from dye lot to dye lot. 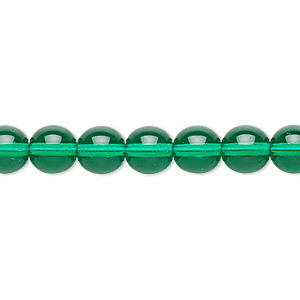 Bead, Czech glass druk, transparent emerald green, 8mm round. Sold per 15-1/2" to 16" strand. 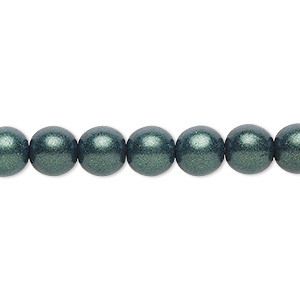 Bead, Czech glass druk, opaque satin dark green, 8mm round with 0.8-1.3mm hole. Sold per 15-1/2" to 16" strand. 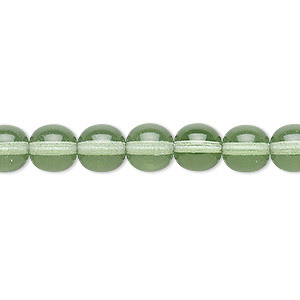 Bead, Czech glass druk, opaque green, 8mm round. Sold per 15-1/2" to 16" strand, approximately 50 beads. 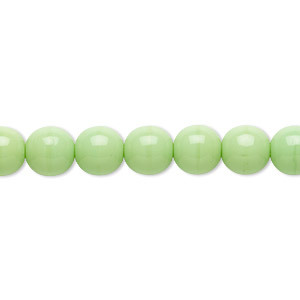 Bead, Czech pearl-coated glass druk, opaque to translucent, emerald green, 8mm round with 0.8-1.3mm hole. Sold per 15-1/2" to 16" strand. Bead, Czech glass druk, transparent teal, 8mm round. Sold per 15-1/2" to 16" strand. 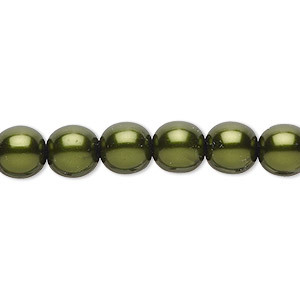 Bead, Czech glass druk, opaque green luster, 8mm round. Sold per 15-1/2" to 16" strand. 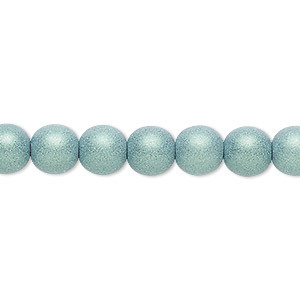 Bead, Czech glass druk, opaque satin green, 8mm round with 0.8-1.3mm hole. Sold per 15-1/2" to 16" strand. 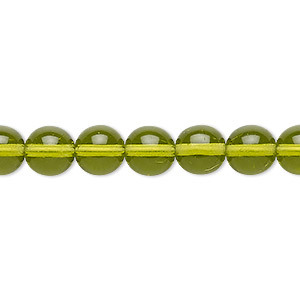 Bead, Czech glass druk, transparent olivine, 8mm round. Sold per 15-1/2" to 16" strand. 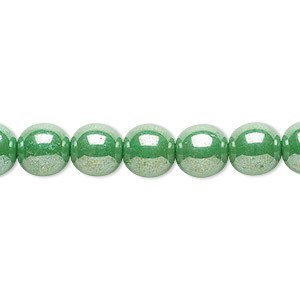 Bead, Czech glass druk, transparent mint, 8mm round. Sold per 15-1/2" to 16" strand, approximately 50 beads. 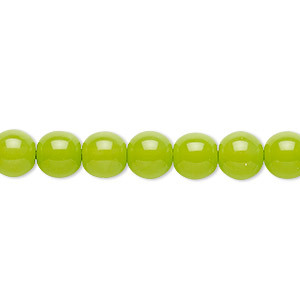 Bead, Czech dipped décor glass druk, lime green, 8mm round. Sold per 15-1/2" to 16" strand.